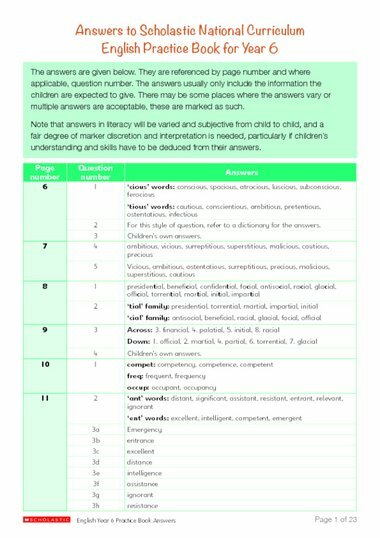 Answers to Scholastic National Curriculum English Practice Book for Year 6. See here for more information about this Practice Book. Brilliant resources for children preparing for their SATS or for just increasing their knowledge!